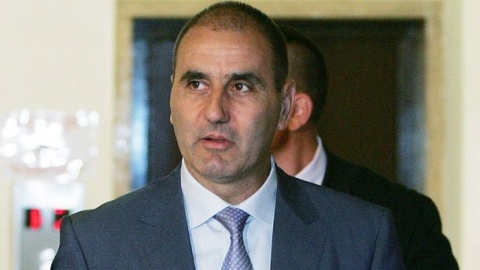 Deputy Prime Minister and Interior Minister, Tsvetan Tsvetanov, believes that on September 22, 2011, the Council of the EU Interior Ministers will make a favorable for Bulgaria decision on its joining of the Schengen zone. "I hope our country will be assessed for Schengen on the base of our real achievements. We will know on September 22 if the Netherlands' opinion about Bulgaria will be ignored by the other EU Member States and if we are to receive an exact date for Schengen membership. We strive to tell the truth about where we stand," Tsvetanov told reporters Sunday. He pointed out that each country has its particular rule with the Netherlands now having a nationalist majority which always has some stronger take on EU policies. When asked if the Schengen issue will influence the outcome of Bulgaria's presidential and local elections on October 23, the Minister replied that joining Schengen is a national priority, both for the cabinet and all Bulgarian citizens, adding he hoped there would be no speculations on the subject. "You all know how much we achieved in two years since the center-right Citizens for European Development of Bulgaria, GERB, party won the general elections," Tsvetanov concluded. On Saturday, Foreign Minister Nikolay Mladenov announced in Sofia that Bulgaria will reconsider its support for the reforms of the Schengen Agreement if it decides it is getting unfair treatment over its application for the visa-free area. The reaction of the Bulgarian government came after Friday night the Dutch government decided that the Netherlands will veto Bulgaria and Romania's accession to the Schengen Area at the meeting of the Council of the European Union on September 22, 2011.